Even your favorite musicians and movie stars are vegan. That includes Ariana Grande, Jennifer Lopez, Jessica Simpson, Jay-Z & Beyoncé, Miley Cyrus, Moby, Paul McCartney, Brad Pitt *, Kate and Rooney Mara, Lea Michele, Jared Leto, Joaquin Phoenix, Tobey Maguire, Olivia Wilde, Alicia Silverstone, Anne Hathaway and Pamela Anderson. And you, dear reader. 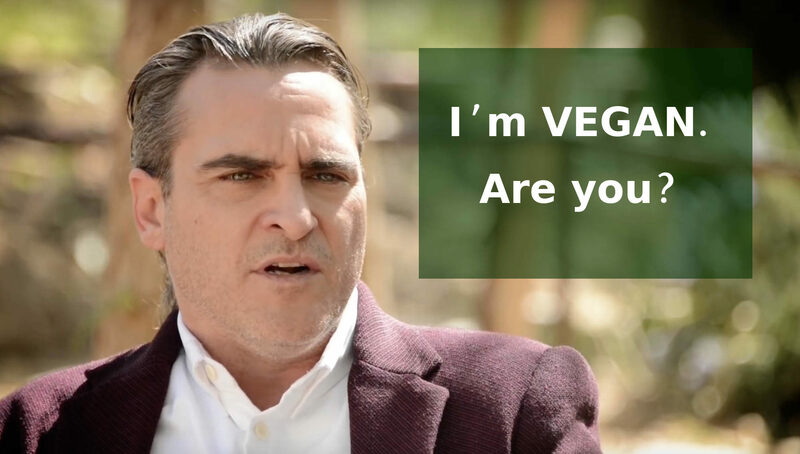 You are vegan too. You love your family and want the best for them. You cannot escape death but you CAN avoid disease, for you and for them. When you choose to eat vegan, you are choosing wellness over illness, for you, your loved ones, and for the planet. You are contributing to the welfare of the animals and helping to preserve our environment from the devastating consequences of animal agriculture. If you encounter another human being that has not yet discovered the multiple reasons to be vegan, help them to see the light. The alternative is unthinkable. Vegan is the only way.